Keep it simple and stylish with these reusable outfits. 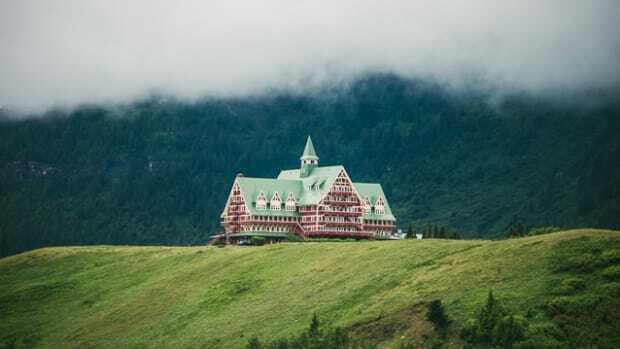 Thanksgiving weekend is upon us, and as we prepare to battle one of the highest-volume travel days of the year, we face the dreaded packing conundrum. Of course, the golden rule of packing lightly is to choose items that are versatile for many outfit combinations. Once you have your basics, throw in some luxurious accessories to make your outfits pop. This super-lightweight packing recipe will keep you well-clothed all Thanksgiving weekend. 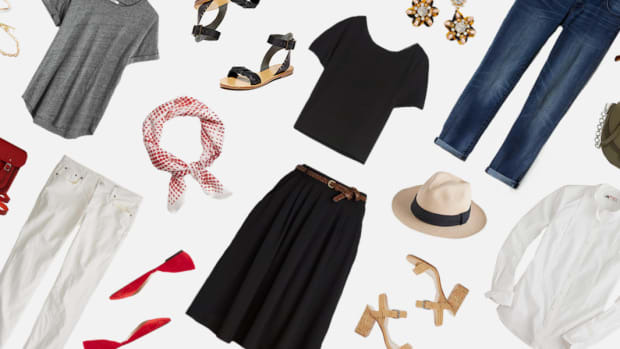 Here are four ways to help you stay stylish while keeping your suitcase light. For Thanksgiving day, pull out all the stops. The base of this outfit is a versatile, flattering black dress. The accessories are what make this outfit stand out. 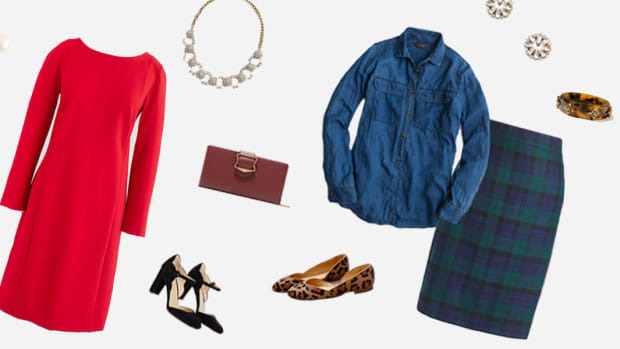 For example, frosty diamond earrings make any outfit instantly dressier, and red plaid heels are ideal for holiday parties. The luxe leatherlike jacket will keep you chic and warm, while the faux-fur stole serves as the whipped cream on top of the pumpkin pie. “Pass the gravy, dahling . . .” Of course, if your gathering is more casual, skip the amped-up accessories; the dress and faux-leather jacket combo will look just as chic. Friday has us feeling laid-back with a pair of light-wash jeans and a cozy cable-knit sweater. You may have noticed that yesterday’s accessories are making another appearance, but today they are styled differently. 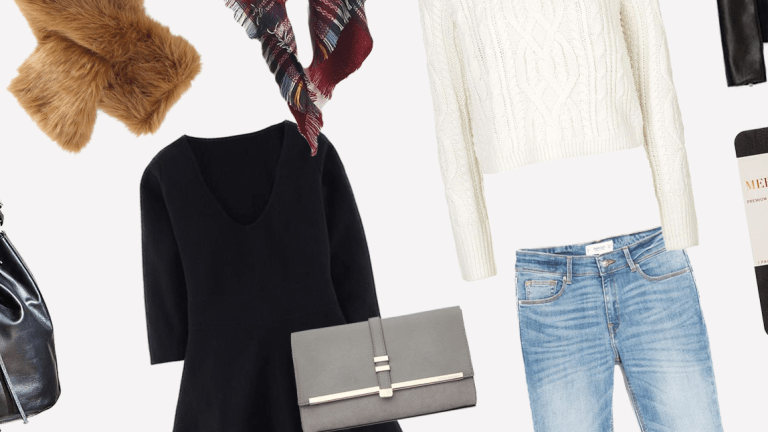 This outfit is all about casual-chic, pairing heels with jeans, fur with a cable knit—all topped off with a versatile leather tote that goes with everything. 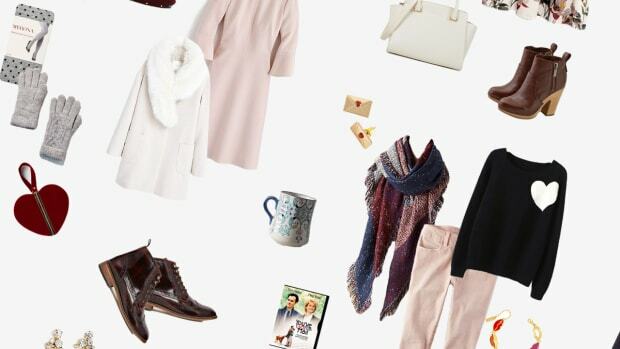 If you’re braving the malls on Black Friday, this ensemble will be comfortable and will look great all day (except, you might want to wear your booties instead of the heels because . . . those lines!). Whether you’re hanging with the family or meeting up with old high school friends for drinks, this outfit is all about adding an urban edge to your weekend. Black Chelsea boots are perfect for keeping you warm and stylish while also complementing your sleek leather jacket. 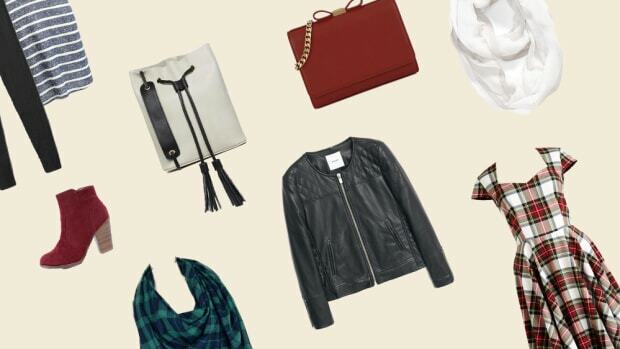 A big plaid scarf is the ultimate Thanksgiving accessory—who could ask for more? Remember that dress you wore on Thanksgiving? Well, it’s back for Sunday brunch! 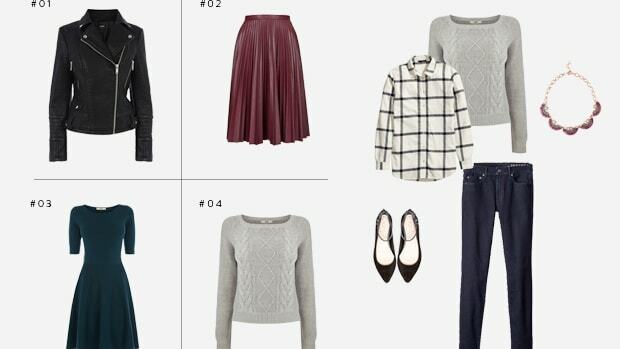 But if you throw your cable-knit sweater over it, it will look fresh, like you’re wearing an A-line skirt. Black sweater tights with the Chelsea boots will add some extra warmth while also giving you a fun mod 1960s-inspired look. 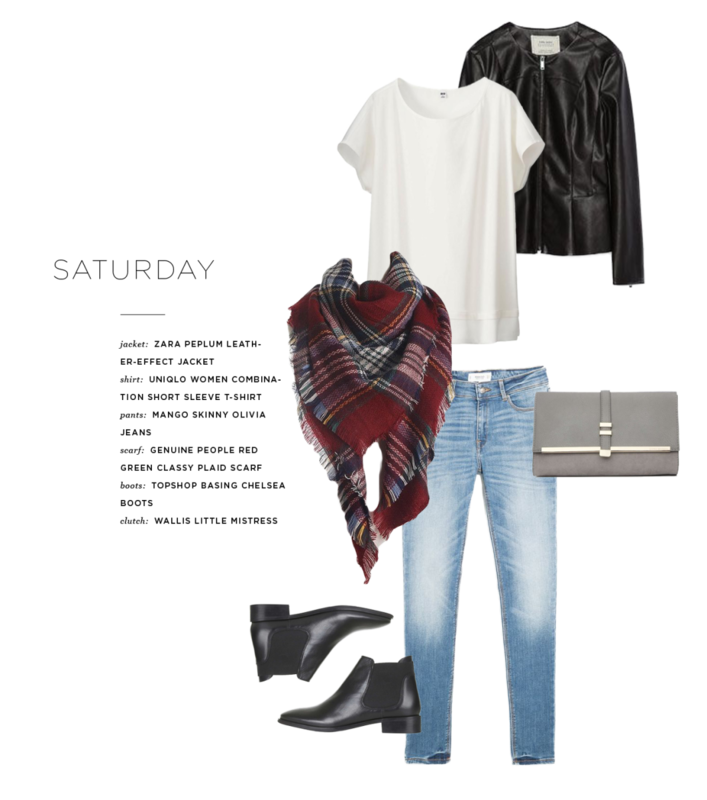 Top everything off with your plaid scarf and leather tote, and you have just accomplished the most fashionably practical holiday weekend ever.